Would recommend this as a written book. 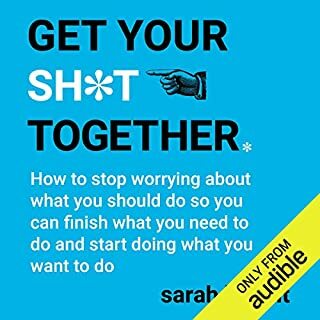 After listening to this, I think it would have been better for me to read the written version as there’s a lot of links and activities that needs to be done and personally I find it harder to having to rewind audio. 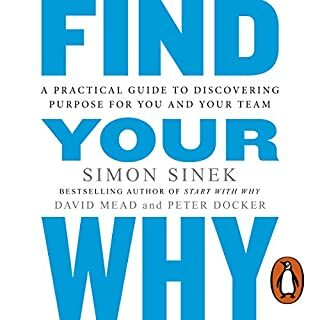 In terms of narration, I’m not sure if Simon refers to himself in third person in the book but the narrator refers to him as “Simon Sinek” all the time , I would have preferred first person. Overall I think it’s a great book and everyone did a great job but in hindsight I think this would be better to read as a physical book. I really enjoyed this book. I did find a lot of the tips useful and most of them I already knew but it was good to be reminded of them again to put into use. It has only been a few days since I’ve implemented some of the tips so I can’t say it has changed my life drastically or anything but it’s a start and at least it gave me the kick I need to get my sh*t together. Sarah also has a nice voice so the book was easy to listen to.